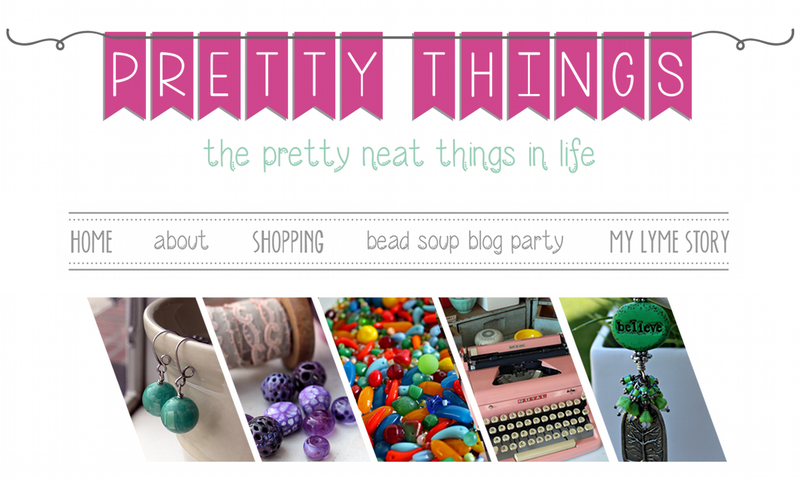 Pretty Things: Bead Hoarders Blog Hop -- sign ups are open! 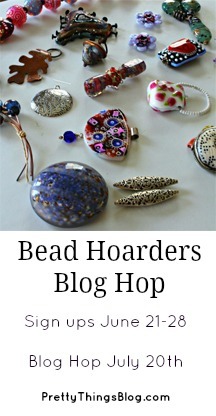 Please count me in for the Bead Hoarders Blog Hop. What a great idea! This will be a beautiful hop. I'm up for the challenge, as I have too many beads to count! Thank you Lori for keeping us on our toes! I am also up for the challenge. I have some bead that a friend got for me at Bead & Button. I'm in! I've got DRAWERS FULL of beads! I'm in! I have waaaay too many hoarded beads!!!! Sign me up - I have SO many beads to share! Hi Lori, this should be fun and interesting. I- Have- BEADS! :) So I would love to play! I have way to many beady gems that are just gathering dust so please count me in! I SOOOOO wish I could do this challenge/blog hop, but it's our family reunion at my sis's cabin and we'll be gone for over a week. 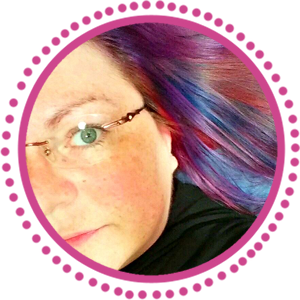 I am going to love seeing all the cool things people create though - that is for sure - what a great idea for a blog hop Lori! I just added my name for the hop (museiddity) but thought you might prefer I commented with WordPress instead of the URL. Count me in! I have such a Hoarded stach its not funny! Would love to be a part of this..its a great idea! Ill put the badges on my Blogger. I accepted on facebook, but I'm commenting here, too, as I'd like to participate. I'll add the badge as soon as I can. Thanks. More importantly, though, how are you feeling Lori? I will NOT admit that I am a hoarder but .......I have WAAAAY too many beads! I'm in! Sigh.... why do I torture myself so? Oh please, add me to this. I have one month to create. This sounds fun. I'm in! I need an excuse to go through the stash (stash sounds better than hoard). By the way... thank you! Sign me up! Sounds like fun! Sign me up, how exciting. I'm game, sounds like fun! 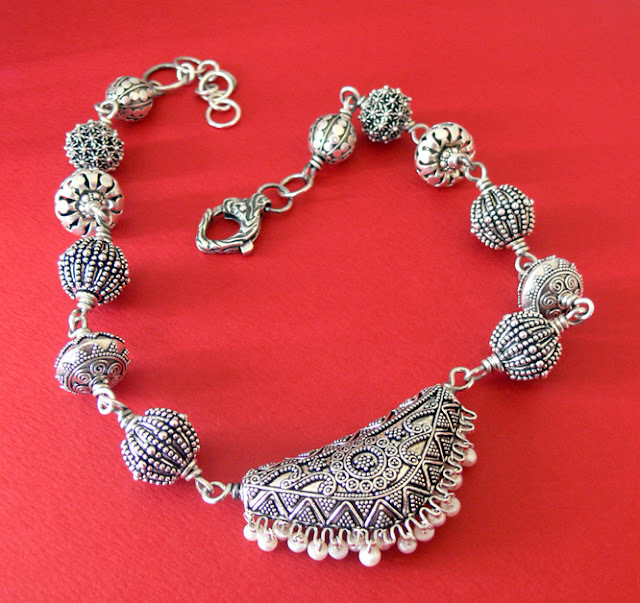 I am looking forward to just being creative with beads. Count me in. I need a little fun!...Although my bead stash is no where near as nice and wonderful as what you guys get to work with. Super excited for this hop! I'm in too! Just hired someone to set blog. Let the fun begin! Whoot! Any excuse to push myself to use the stashed beads! You can count me on! I'm going to be pressed for time on this one, but I can't help but hopping on board. I've got way too much hoarded! Count me in! I know just what hoarded piece I want to (finally) use! 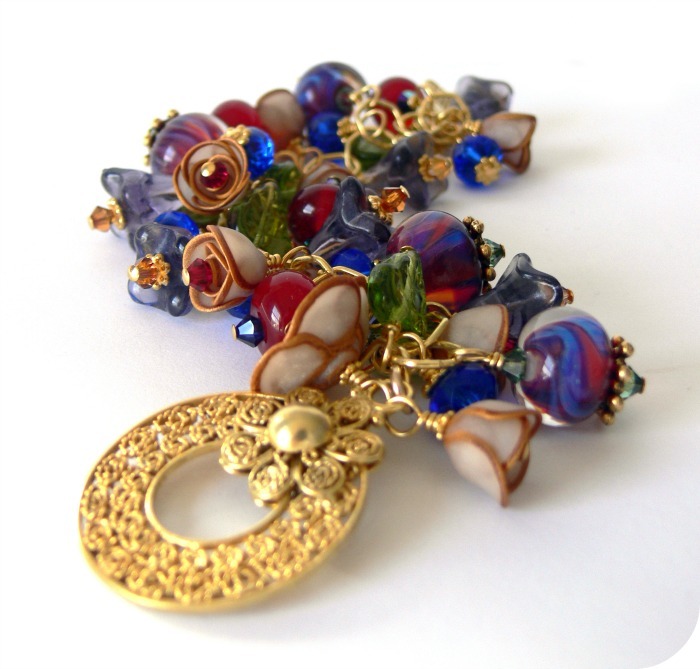 It's been a while since I last made something (or I post something), so I really have tons of beads I could use for this blog hop. Excellant opportunity to use some of my (many) treasures. Thanks for organizing this. Bead hoarding? Is that what it's called? Um...okay...I guess this is like going to BA (Beads Anonymous): my name is Donetta, and I hoard beads. Please...sign me up! thought I had signed up, but then I realized I hadn't! Whew!!!!! Just close up the spaces for my address!! Tok a while to get to the bottom of this post, but I'm in too. My hoard box isn't as fantastic as yours but will do my best. I think my comment from yesterday didn't really get through... Sorry if I'm duplicating. I was saying that I really love the combination of elements you brought together to feature the electro formed focal. I would love to follow your lead and use my hoard (well some of it) please count me in! Would love to join, lori. I'm sure I replied, but here goes again! I'm def interested! YES! Thanks! This is a challenge I need to do! Need to use up those beads. Here's hoping this works: I already added the picture to my blog. I'm in! I have a donut I bought ages ago I keep meaning to do something with :) A little incentive might be just the ticket! Love to play! I just have to many beads with which I cannot seem to part. Time for a challenge to actually do something with them. I love this! 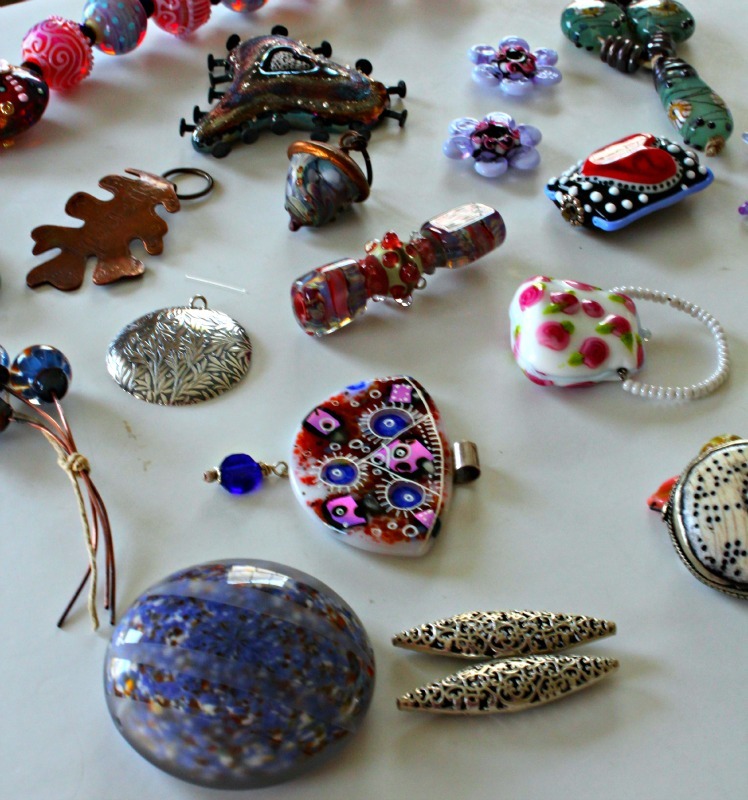 I thought I was the only one with the secret shame of being a bead hoarder. Please count me in! I am in.... I have some things I would love to use and haven't yet. Lori, I would love to join in-sounds like a lot of fun. Oh yeah this hop is for me. It'll be a challenge because I've grown quite fond of some beads but I'm gonna do! Mornin' Lori, I would love to be in this one. Thank you!!! This sounds like fun! Sign me up, please! I've been traveling all month. So glad I got back in time to see this and sign up! You never cease to inspire, Lori! You plan such great parties!! I would love to participate, Lori! I'm so excited--I can't wait! so much want to play!!! Will do my best to join in - the urge to bead has been very subdued since the brain haemorrhage but I am managing some cross-stitch. May be this is the creative kick-up-the-pants I need! 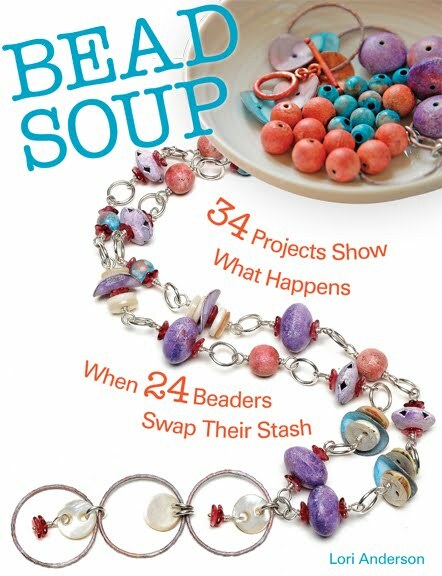 Bead Soup was really brilliant, so hope to emulate its success. This is just what I need to inspire me to dig into the stash. Thanks for this effort Lori! I am in, Lori, thank you! I would love to join in, I certainly have quite a few pieces I could use. I'm game. I have way to many beads which for whatever reason I don't use. I would love to join you on this journey to using what I have. Sounds fun - count me in! Would love to 'hop' along with you! no idea how I am gonna make time for this, but I am! Sounds like good old kick in the pants FUN!! Hi Lori...Would love to join in! Hi Lori & Thanks so much for the invite! Really LOVE this idea! I've been mulling this one over trying to find a time management system (HA!) just laying around. Busy, Busy, Busy!!!!! Now I HAVE to find the time! 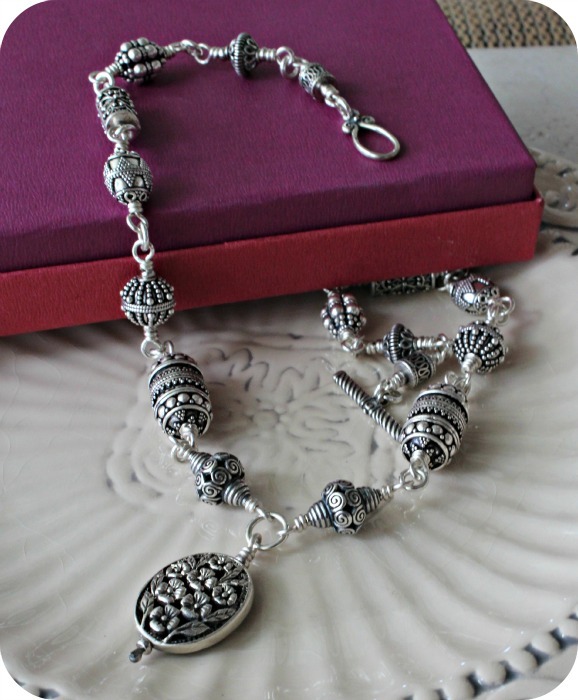 I have to get back on the horse at some point and deal with trying to get better pictures and figuring this whole blog system out, too........The jewelry seems to be the easier part compared to the blogging for me. Ok, at least less time consuming & more fun, may be a better way to put it!?!?!? I hope you are feeling better now that more meds have gotten into your system. Also, hoping you found some more helpful answers! Think of you everyday, hugs! I need all the incentive to dig into my bead stash! Awesomesauce! Lots of options to choose from. Count me in. I would love to join Lori! It said closes June 28, so if it is too late, I understand! 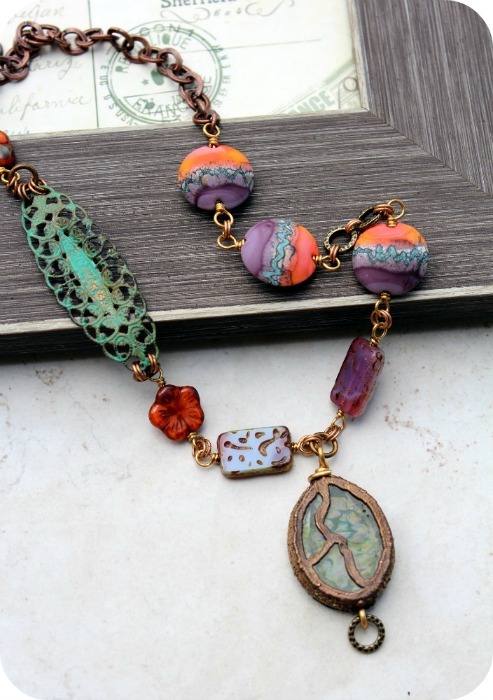 Sounds like just the motivation I need to use some of my favorite hoarded beads! It is June 28 at 11:35. 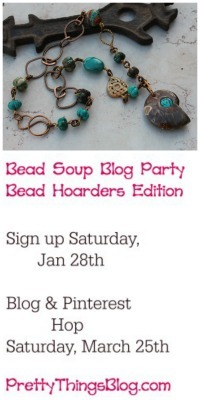 I hope I can join the blog hop since I have lots of hoarded beads. Lori- it's still technically the 28th here... Is it too late? I've been gone all week and Beth just reminded me to sign up. If it's too late, I'll understand. I'll be sad, but I will understand.